That’s why millions of travelers scour for low fares on so-called discount travel sites. It’s also why consumers take advantage of special offers from credit card companies. A rewards credit card is the strategy Marc Ort decided to try to lower his travel costs. He chose an offer for a British Airways Visa Signature credit card by Chase. As part of the offer, Ort would become a member of British Airways’ Executive Club, and he’d earn “Avios” — what British Airways calls its “club currency” — based on his purchases. The Avios could be redeemed for flights and other rewards. Consumers who signed up for the card and made $20,000 in charges during the first year would get 100,000 Avios credited to their accounts. The special deal would also give the member a free companion ticket. Ort signed up for the card in October 2015. When he received the card, it had his credit card account number and a British Airways Executive number printed on the front. Months later, in March 2016, Ort reached the required amount and he decided it was time to cash in some of his rewards. His British Airways account didn’t show the 100,000 bonus. When he called British Airways, the runaround began in earnest. 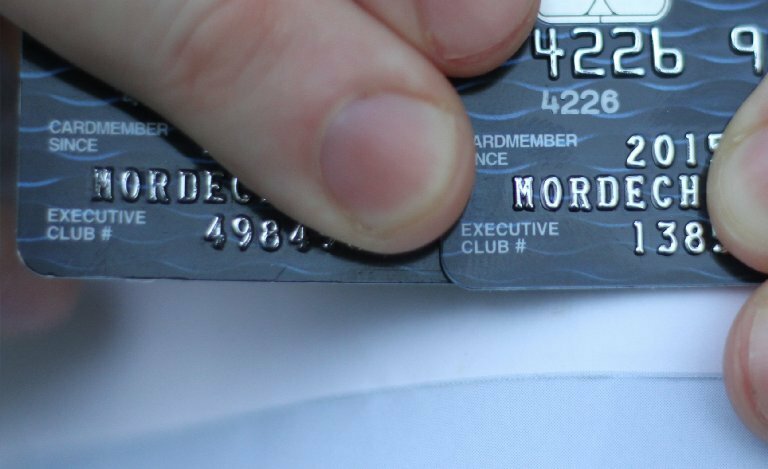 They realized the Executive number printed on the front of Ort’s credit card was not the Executive account number registered to Ort’s name. Because the number on Ort’s card wasn’t his Executive account number, British Airways refused to discuss it. “I am told I have to figure out who that person is and get the miles from them because once the miles are placed into an account, they cannot be taken back,” Ort said. That didn’t make sense to Ort — he had no way to track down the real owner of that account number — so he tried Chase again. A rep said someone would get back to him in a few days. While he waited, Ort opened a new British Airways Executive account to make sure no new rewards he’d earn would be assigned to someone else’s account. Chase told Ort that it was sending him a new credit card with Ort’s real Executive number on it. When the card arrived a few days later with Ort’s new Executive number printed on the front, he logged into his account to check out his balance. It showed only 2,300 Avios, he said. Ort said he called Chase and spoke to a supervisor, who said he could see the rewards had been transferred to Ort’s account. So Ort waited. And waited. And waited some more. By mid-May, the rewards still hadn’t been transferred to his account. Ort needed to book round trip airline tickets, but his small rewards balance wouldn’t cover the cost. He said he couldn’t wait any longer so he paid $500 for the flight he needed. A rep offered 2,500 for his trouble. That’s when he turned to Bamboozled. 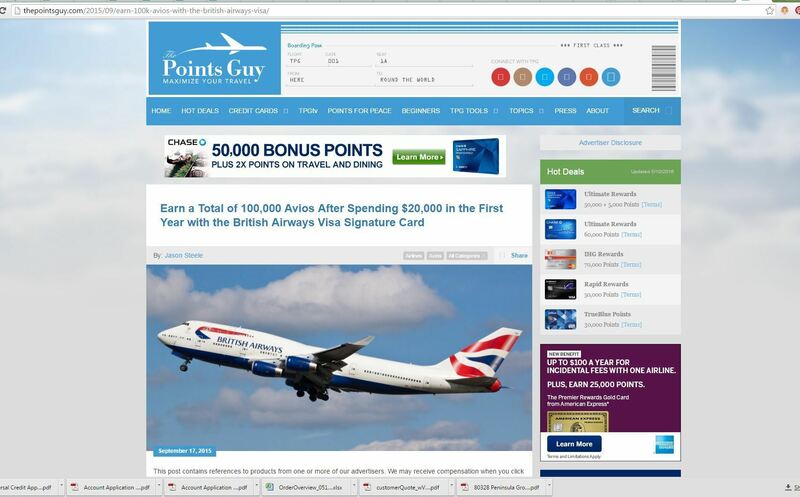 We reviewed the British Airways and Chase offer, screenshots of Ort’s Executive account and Ort’s timeline of his communications with the companies. Then we reached out to British Airways and Chase, and both said they’d review the account. After about two weeks, Ort received a message from Chase. A rep said the rewards would be credited to his account in about a week. He would also receive 10,000 additional rewards — for his trouble — and the companion ticket he was promised as part of the initial deal. Ort said he was skeptical, and that he’d believe it when he sees the balance in his account. We asked the companies what happened. British Airways said it worked with Chase to resolve the issue, but it wouldn’t offer any more detail. Ort said no one gave him any additional information about how this happened, but he did report the rewards were in his account the following day. He is grateful that it’s all over and he now has the rewards he earned, but overall, he said, he received lousy service. “Did they give me an extra 10K? Yes. Not much for all the hassle I went through but better than the 2,500 miles they originally offered,” Ort said.